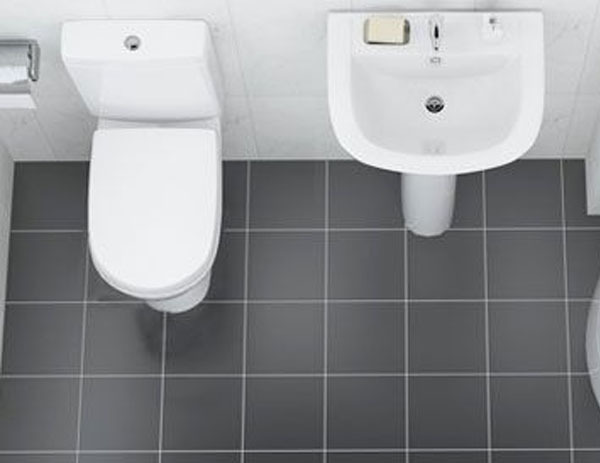 Primo Space Saver Basin & Pedestal - Only £68.99! In stock now for just £68.99 including VAT! Hurry while stocks last! The Primo Basin & Pedestal is the perfect choice for compact layouts and smaller bathrooms. It is specifically designed for maximum practicality and space efficiency, while maintaining a luxurious and stylish look. 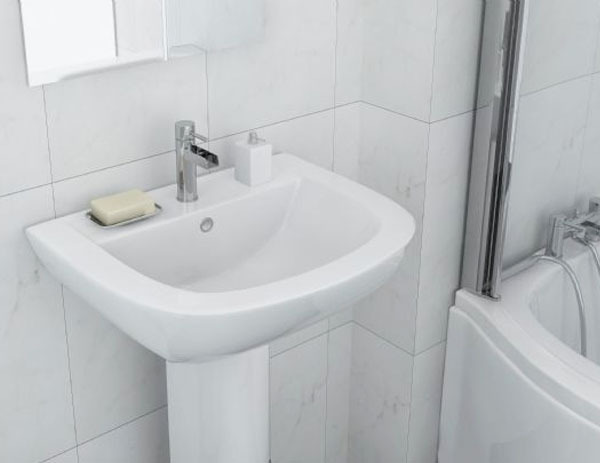 This superb, reliable basin is built to last, featuring a very high quality of construction and is highly practical, as well as being especially easy to clean. With a short projection from the wall, this compact design is an excellent choice for the modern home. Thanks to its intelligent design and excellent use of space, this is one of the finest compact bathroom ranges available anywhere today. Modern yet practical design is the focus of this outstanding basin and pedestal, both of which are compact and easy to clean. The basin in provided pre-drilled with 1 tap hole and features a pedestal which sits just 100mm approx from the wall for a tidy and modern look. Famed for its highly competitive price and value for money, this is a very popular choice for many homes due to its intelligent, space-saving design and hard-wearing practicality. The suite also comes with a 5 year guarantee to provide absolute peace of mind. Thanks to its intelligent compact design, this fantastic basin and pedestal set is ideal for smaller bathrooms where space is at a premium. It is especially popular for installations in guest bedrooms and ensuites.